Thanks to all those of you who have created YouTube videos of what you’re doing with your RSPs. I think the user community really appreciate them. 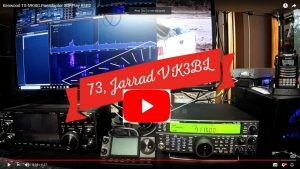 This morning this one popped up from Jarrad, VK3BL which shows how well an RSP can complement a Kenwood transceiver to give you the kind of panadapter graphics (and second receiver possibility) which is tough to achieve with a self contained rig and bandscope. With computer monitors becoming bigger and cheaper all the time, the RSP option makes more and more sense. We are hoping to release an update for SDRuno in the next couple of weeks. It has been a while since the last one and we will say more about what’s included in the next few days.